Summer is a fun time with weddings, graduations, vacations, clam bakes, barbecues, family reunions and back yard parties. 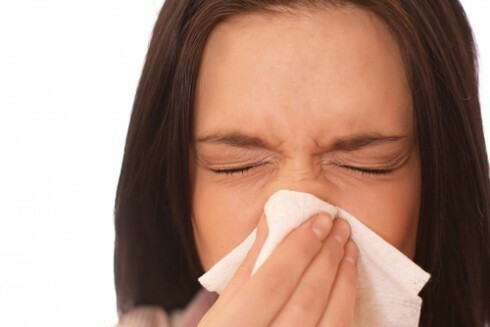 Unfortunately, summertime is also a common time for people to get SICK! Many of us are stressed with multiple commitments, traveling on germ-loaded airplanes, lacking sleep, eating not-so-healthy foods and drinking more alcohol than usual…all of which depress your immune system functioning and invite a cold to come knocking. Good sources include parsley, broccoli, bell peppers, avocado, strawberries, oranges, lemon juice, papaya, cauliflower, kale, mustard greens and Brussels sprouts. You can also buy Vitamin C supplements just about anywhere. 2,000-3,000 mg a day is the typical suggested dosage. Although it's not as popular as Vitamin C, Vitamin E plays an important role in the health of your immune system too. The main cells of your immune system are T cells and B cells. Helper T cells patrol your body, waiting to attack a dangerous invader. Regulatory T cells protect your healthy cells. And B cells create antibodies when you do get sick to help prevent that sickness from entering again. As you age, your T cells and B cells don't work as well as they used to, so your immune system is weaker. But Vitamin E has been shown in studies to significantly increase T cell and B cell activity, thereby making your immune system stronger. Good sources are spinach, Swiss chard, turnip greens, mustard greens, cayenne pepper, almonds, sunflower seeds, asparagus and bell peppers. Vitamin E supplements are also readily available. 400- 600 IUs per day is recommended. Typical garlic pills, tablets, oils and capsules, especially the odorless ones, usually have had the active enzymes in the garlic that provide the health benefits processed out. But never fear--there are a great many ways to enjoy garlic and get its full immune system charge (more on that below). The oils in this delicious spice include thymol and carvacrol, both of which have been shown to inhibit the growth of dangerous bacteria. In addition to enjoying oregano in Italian and Mediterranean dishes, oil of oregano is also available at health food stores and many grocery stores. Plus here is a recipe for a delicious dip that will give you a dose of both garlic AND oregano, plus Vitamin C-rich avocado—you’ll be the hit of the party if you bring this for an appetizer! Chop avocado and tomato in a large bowl. Add next 6 ingredients. Toss to coat, then fold in Feta cheese. Serve with raw vegetable dippers or organic tortilla chips. Similar to garlic, this powerhouse mineral increases the production of infection-fighting white blood cells, and helps white cells release more antibodies. Good sources of zinc include beef, oysters, crab, turkey, scallops, oats, yogurt, venison and spinach. Note that although zinc supplements and lozenges are available, too much zinc can backfire on you and inhibit your immune system. It's best to aim for 15-25 mg a day which you can easily get from a healthy diet. Nothing enhances your immune system like a healthy dose of the same beneficial bacteria that reside in your gut and house about 70 percent of that immune system! The key is taking a probiotic supplement that has a wide variety of bacteria to help you in different ways. Super Shield multi-strain probiotic formula is your ticket here. Super Shield contains 13 potent strains of beneficial bacteria, each of which has its own specialty on how it enhances your health and helps strengthen your immune system to better fight colds and many other illnesses and diseases too! A poor diet creates excessive acid waste in your body, which impairs nutrient absorption. So any supplements you do take can pass right through you. A poor diet (especially refined carbs) nourishes the harmful bacteria in your gut, while starving the helpful ones. This can make your immune system function practically non-existent. A poor diet also encourages an acidic pH. When your body is in a state of acidity, it can't effectively heal itself or fight illnesses. Now, if you think having a healthy diet sounds about as exciting as watching grass grow, you're in luck. Because the Great Taste No Pain system will prove you wrong! The Great Taste No Pain manuals will teach you how to structure delicious meals featuring real foods that not only taste good but are good FOR you. Plus the recipe section is jam-packed with scrumptious dishes, many of which feature immune-enhancing oregano and garlic, as well as natural dietary sources of Vitamin C, Vitamin E and Zinc. And now is the perfect time to get Great Taste No Pain because it’s 15% off! But don’t delay, because the sale ends this Sunday! Put these 7 Cold Fighting Strategies to work for you and see how good YOU can feel this summer!